Mr. Hasan Adnan Ahmed, Human Resource and Public Affairs & Communication Director visited the Lahore School of 29th November 2018 to deliver a session on Leadership and Followership. Hasan opened his session by discussing the strength of the Coke brand which has remained in the top ten positions globally despite the “tech brands” onslaught. This in part was explained by the vision of Coke which was to be the best FMCG (not cola but beverage), by its values of integrity, accountability and passion, and by its focus on the consumer, on its employees and on the community at large. Coca-Cola not only remains committed to Pakistan but has indicated that it would deepen and widen its investments. 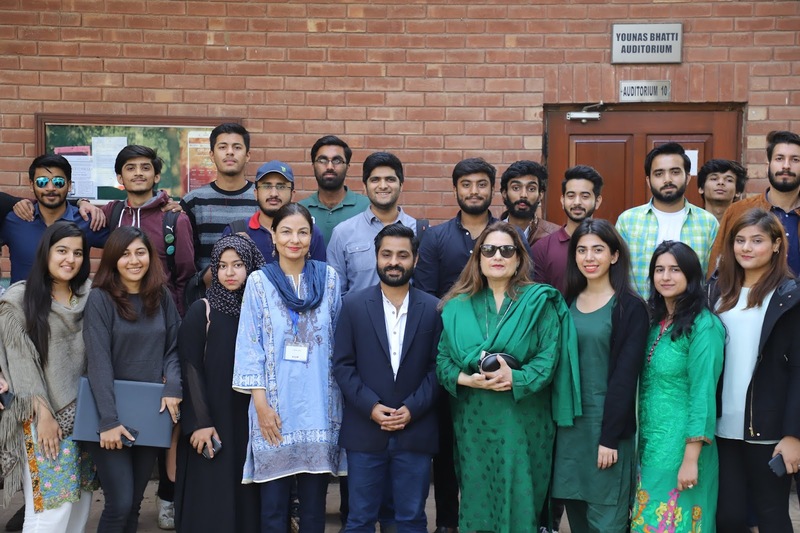 The Lahore School of Economics Management Society orientation was held at Main Campus, SBS library on 29 November 2018. The goal of this orientation was to encourage students to participate in all aspects of management with an interactive game session. Dr Zahid Riaz, the Patron of the Society addressed the students to encourage them to incorporate management in their daily lives in order to succeed. Economics Faculty Research Paper Presentations held on 25th October, 2018. Evidence has shown that prenatal nutritional shocks have a long-lasting impact on health, cognitive ability and adult outcomes. This study looks at the impact of exposure to fasting on the academic achievement of children who are formally educated. The study uses exposure to Ramadan of pregnant Muslims as a natural experiment to analyze this impact. Relative to famines and wars, Ramadan is a milder shock and lasts for a shorter time period. This study uses LEAPS (Learning and Educational Achievements in Punjab Schools) panel data collected by World Bank for different regions of Punjab. As actual fasting behavior of pregnant Muslims cannot be observed, the study to uses “intention to treat” approach; this permits measurement of impact in presence of non-compliance. Results show that exposure to fasting in the first trimester has a negative effect on test scores of students. 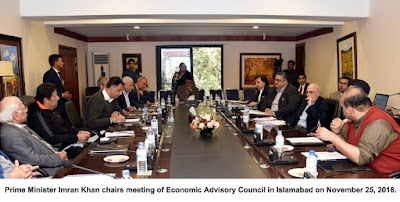 Prime Minister Imran Khan has approved the policy recommendations for a Medium Term Structural Reform Framework of the economy in a meeting of the Economic Advisory Council in Islamabad. Mr. Badar Khushnood, Cofounder and VP of Growth, Fishry.com and Bramerz.com, visited the Lahore School on 15th and 16th of November 2018 and gave a session “The Magic Moment of Successful e-Commerce in Pakistan” to the MBA cohort of 2018. 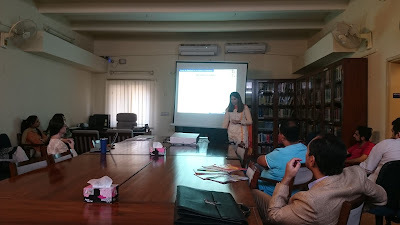 Badar explained that Web 1.0 referred to one-sided, informational presence of content on websites; Web 2.0 was interactional where you could comment, such as social media; while Web 3.0 was transactional, which could host payments. Ms. Quratulain Ibrahim, Managing Director of Nielson Pakistan, paid a visit to the Lahore School MBA program on 9th November 2018 and delivered a session on “Importance of Data in Marketing”. At the outset she said Nielsen was present in 100+ countries and provides companies with an understanding of what consumers watch and buy. In Pakistan, the “watch” function is still not there. In the “buy” function, Nielsen are the global leader in retail measurement services, helping our clients understand what will happen next. Because it has global presence, Nielsen can also do cross-country analyses. 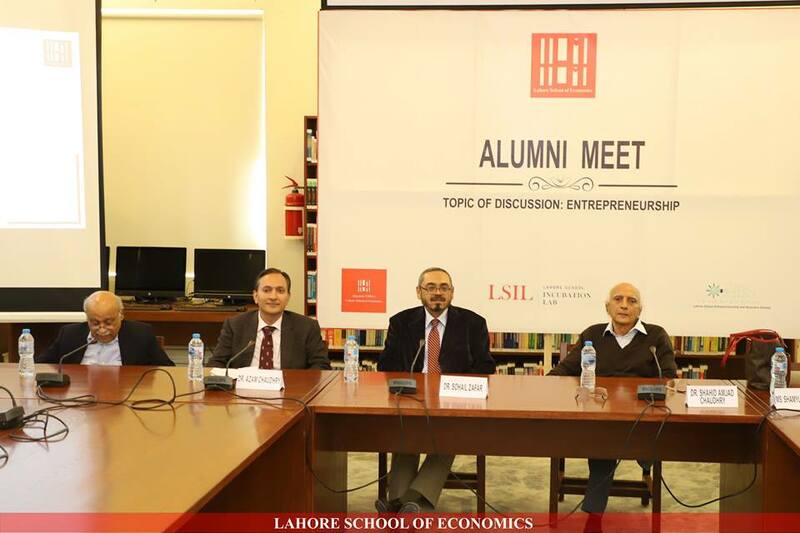 The Lahore School of Economics hosted Alumni Meet on 17 November 2018 at the Burki Campus. The topic of discussion for the day was “Entrepreneurship.” More than 120 alumni from diverse areas of businesses attended the event. 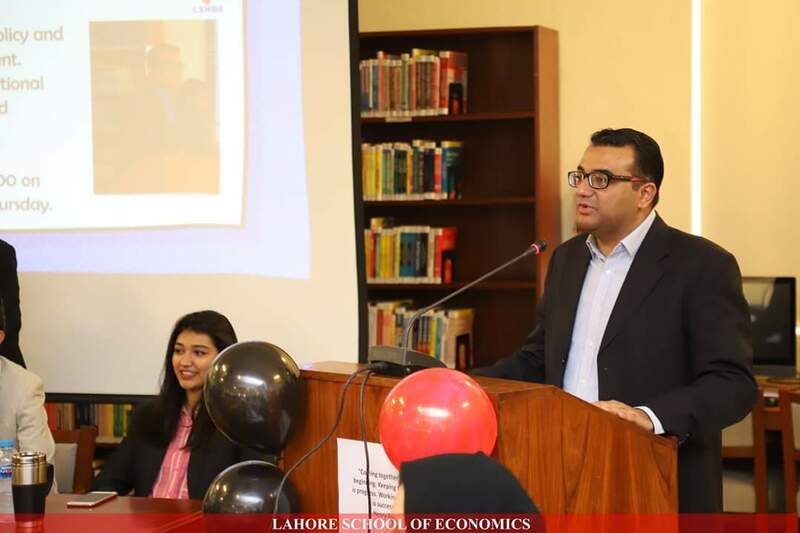 Dr. Shahid Amjad Chaudhary, the Rector Lahore School of Economics welcomed the guests and briefely introduction of the Lahore School Technology Innovation Centre and the new Lahore School Incubation Lab. Dr. Azam Chaudhary, the Dean of Economics emphasized on the Incubation Center launched purpose that is to provide support to Lahore School alumni. 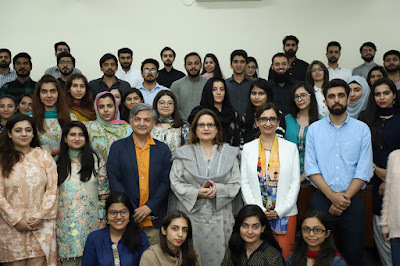 Ms. Shumyla Chaudhary, President of the Alumni Club praised the young Entrepreneurs of Lahore School and commended on their work that they are giving back to the society in so many ways. Dr. Sohail Zafar, Dean of Business school also thanked the alumni for taking time out for the event. 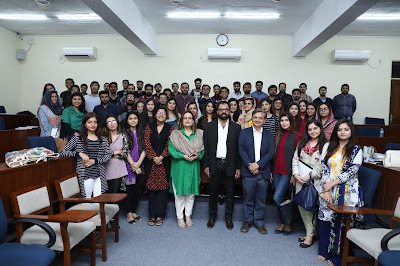 Mr. Daniyal Talat Malik, Creative Director-Ogilvy & Mather visited the Lahore School to give a talk to BBA students who are enrolled in the course of “Advertising” on November 28, 2018. 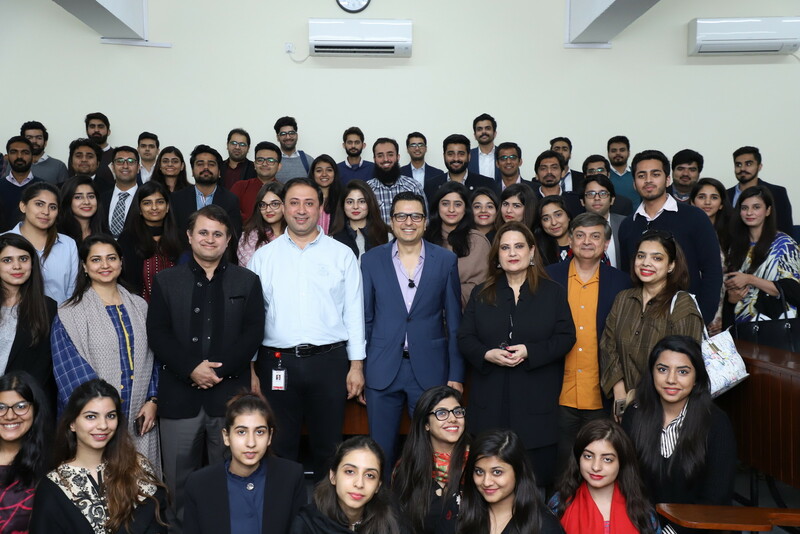 Khurram Javaid, Area Head of Brand Marketing South Asia Cluster, Pakistan Tobacco Company delivered a comprehensive session to participants of the Lahore School MBA Program on sales and distribution of fast moving goods. During his session he clarified various terms such as route to market, brand activation and customer management. The job of distribution in any context was to ensure that consumers were able to obtain a company’s products at the right time, through the right channel, and with convenience. The product had to be available but also the distribution had to be both effective and efficient. 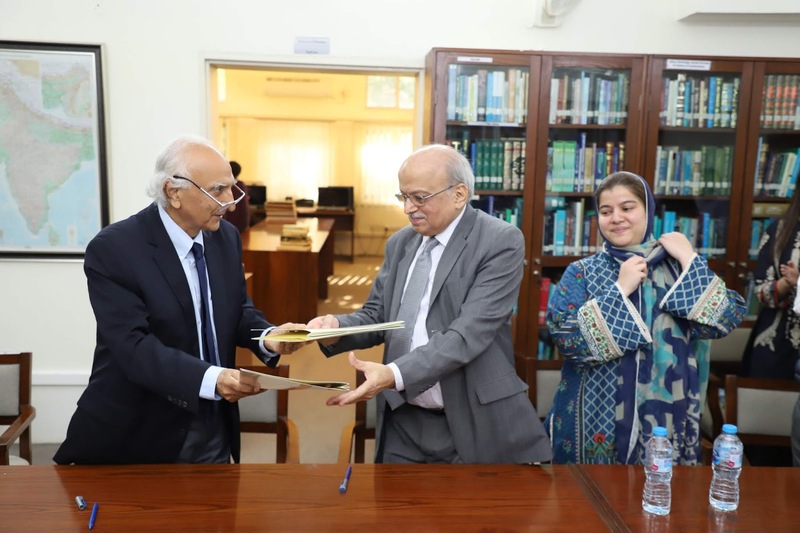 An MoU was signed between The Lahore School of Economics and Aftab Associates on Thursday, November 08, 2018 at Barki Campus. This MoU falls under the umbrella of Industry/Academia linkages. 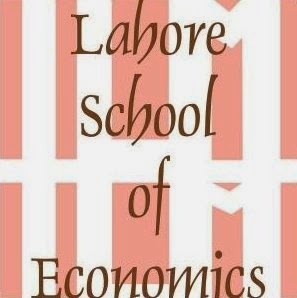 The Lahore School of Economics has always laid emphasis on Industry/Academia linkages and has extensive links with industry. Through these links, students have had the opportunity to meet a number of distinguished executives from various business concerns over the years. 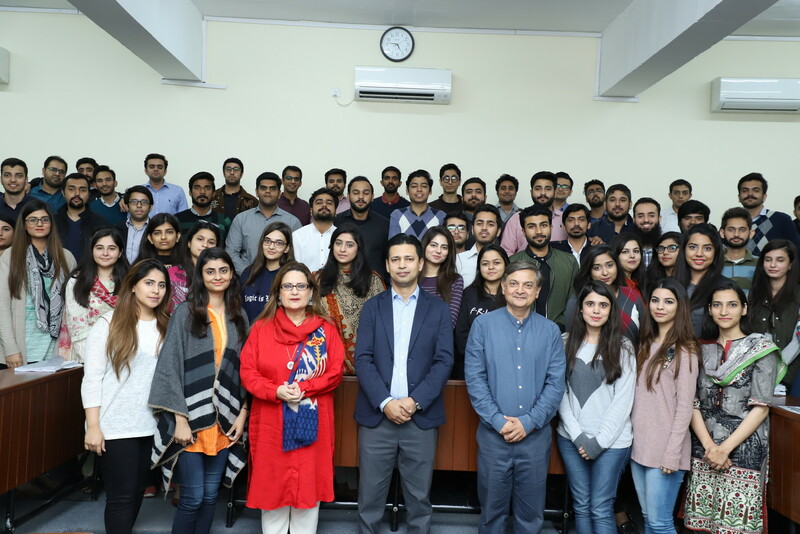 Chairman Hafiz Aftab Ahmad and Chief Executive Sarah Aftab of Aftab Associates, one of the oldest and largest market research service providers in Pakistan, visited the Lahore School of Economics on 8th November 2018. 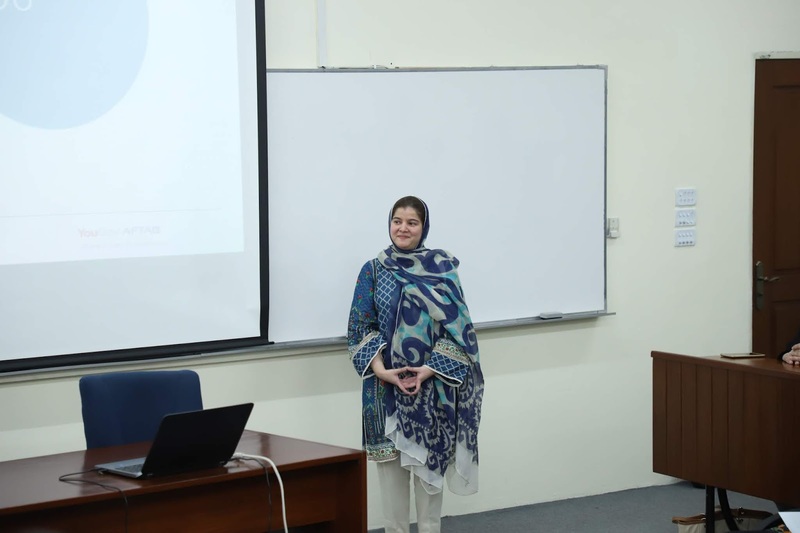 Ms. Sarah Aftab delivered a sterling session on the importance, interpretation and presentation of marketing data to the MBA cohort of 2018. From the outset, Ms. Sarah emphasized that the most important element for success in designing and implementing a research project for a client was whether the client was clear about what he or she wanted from the results of the research. In other words, how the client would use this data in furthering their marketing objectives. A problem well-defined, she told the audience, was a problem half-solved. 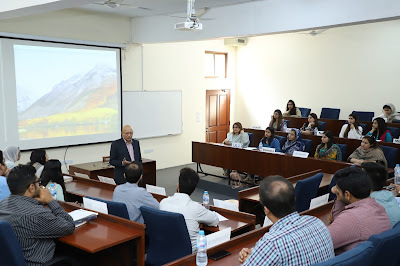 Mr. Aftab Khan, Chief Supply Chain Officer give a talk to the students of MBA II who are enrolled in the course of “Advanced Operations Management” on October 23, 2018.